Now, the funds that would have paid my wage may be reinvested in jump-starting the project’s new efforts. Meanwhile, I am looking forward to immersing myself in a work environment that tethers me to computers less and fosters my desire to write about travel and adventure more. If I began to recount every kindness of every Northfield friend, this post would be exceptionally lengthy. I would love to thank everyone in person, however, and I invite everyone to come to the Contented Cow Pub tomorrow (Friday) beginning at 5:30 to enjoy a farewell gathering. I’ll be singing some songs with the New Moon Trio, dedicating each one to the people that we wish we didn’t have to leave behind. To Bonnie-skirt and Joshie-pants, and she-who- is-definitely-irritated-about-her-name: The ‘Bon-est’ of BonVoyages ! so sad! you were the best tenants a store could have above them! bonnie, thank you so much for buying my art and other local art and even doing art! thank you for all your great stories! of course, i will miss josh coming in to play with the toys. 😉 sarah and edi will miss you, too! good luck with all your future adventures! love ya! Farewell, to Bonnie and Josh! We really enjoyed our nosh. Hope to read your next musings and, gosh, we’ve really enjoyed your panache! Bonnie, it’s been more than a delight to get to know you and Josh. Last’s night’s farewell party at the Cow was a testimonial to how you’ve both touched the people of Northfield in your short time here. You leave a legacy with your RepJ stories, many of which we’ll continue to link to and benefit from in the years to come. You also leave a legacy of journalistic transparency and collaboration with Northfield’s citizenry that will inspire all of us to keep alive as we embark on the next phase of ‘sustainable journalism’ for Northfield. And here’s hoping you’ll retain some ability to talk Minnesotan no matter where you live. 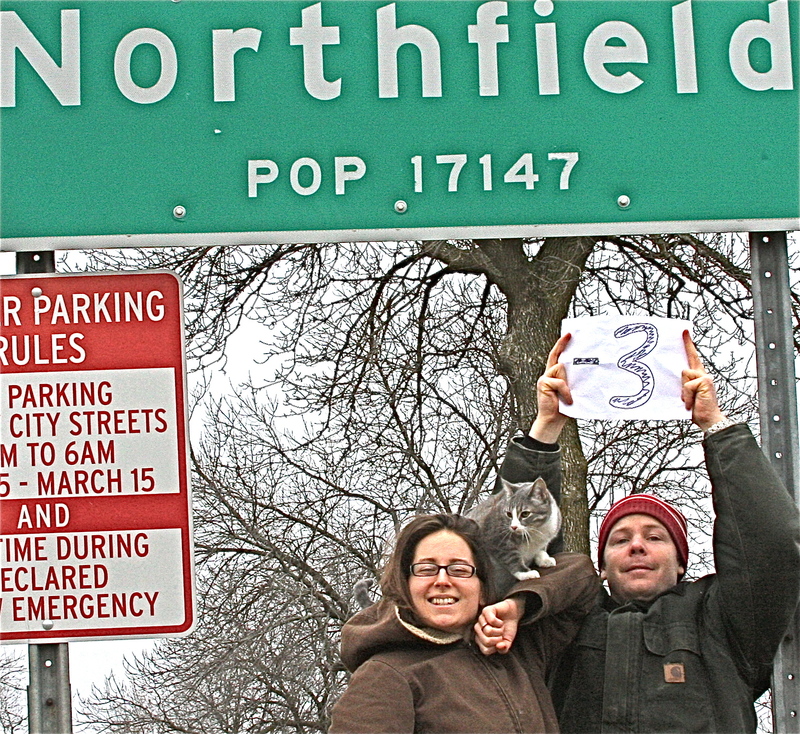 So, will you come back and visit Northfield occasionally, then? So glad Bonnie and Raoul are leaving. I simply despise kind, intelligent, personable, creative people. Now, I must go cry… because of my extreme happiness… of course. Josh and I are temporarily in upstate New York on our roundabout journey south. 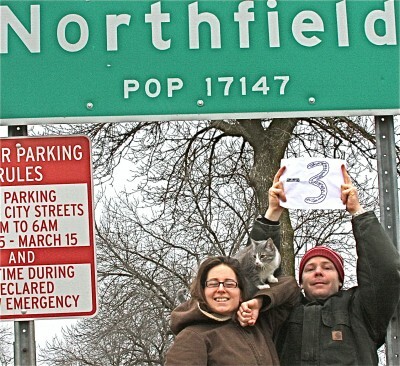 We miss everyone dearly and talk every day about the good folks of Northfield. Thanks for everyone’s kind words, they meant a lot to us. Hope all is well over there! Thanks for the update, Bonnie… keep us posted!